In October 2014 IndigoVerge was selected as the IoT Consulting partner in a project for building a network of charging stations for electric vehicles (EVs). Our responsibility was everything IT and IoT such as consulting, evaluating different software solutions, tests, upgrades, deployment, integration, mobile apps, support etc. But, our first and probably most important task was to find the least expensive (in terms of money and time) way to give the business a start so we can figure out whether it’s viable at all. So in this post I’ll explain the approach we followed during this IoT consulting phase, and hopefully you’ll find something useful for yourself. We knew that investing in custom software development or expensive hardware at this early stage was risky and completely unnecessary. Thus, we decided that we need to find the right cloud solution for charging stations management (CSM). It was supposed to handle communication with the charging stations, customers, charging prices, billing & payment. Back then we did not know whether we should look for one big solution or a combination of smaller ones. The time frame of the project wasn’t very tight, so we decided to spend more time on the initial evaluation on the available solutions on the market. By doing this we could dive deeper into the functionality and get to know the business domain better. We wanted to keep the process as lean and simple as possible. That’s why we intentionally avoided any kind of heavy documentation that, according to us, would not help but, rather, increase the complexity and slow us down. Here is a more detailed explanation of the process we followed. Basic features – first we outlined the most important features we needed. The list wasn’t perfect, for there were a lot of assumptions and generalizations. But this was the best we could do back then, and it helped us clarify and structure what we needed. Find available solutions – we made a list of about 15-20 software providers from all over the world. To optimize the process and remove the ones not suitable for us, we asked them to fill a short survey, to confirm whether they supported the must-have features we needed. For example we skipped all providers that weren’t supporting OCPP protocol for communication with the charging stations. Live demo – within 2-3 weeks we talked with 10 companies and got invaluable first-hand experience. However, besides learning the supported/not supported functionalities we managed to gather something much more precious – an insight on how this business actually worked behind the scenes. We learnt about the possible revenue generation channels, most common ways for identification of the users, different payment methods, common problems, support, standards and more. Refine requirements – during the demos we kept updating/refining the list of needed functionalities. So we ended up with a well-structured and much clearer specification of what we really needed using the right terms and structure. Short-list – we had just one internal meeting to identify the top 2 solutions that were suitable for our needs. Then we asked them for a free/paid one-month trial, to have our tech guys check whether the promised features, such as API, documentation, etc. were actually there and in a good shape. Final decision – here came the winner who was chosen based on provided functionality, extensibility, setup fee, monthly subscription & overall impression. There is no formula for choosing the right provider, but once you start the process it’s just a matter of time to get a gut feeling of what’s the best choice. The whole IoT consulting gig took us about 2 months, without full-time engagement. I think the process could be squeezed into a month or so, but you have to find a way to optimize the communication with the software provider companies. There are a lot of mediocre systems out there, but the ones that are really complete, coherent, easy to use, deploy and support coming at a reasonable price are scarce. Make sure there is an API, you do not want to end up with something that’s limiting your business. The available solutions are either very good at managing the charging stations (power management, events, support, update firmware, maintenance, charge prices, etc.) or at billing and payment (multiple payment channels, prepayment, payment onsite, post-payment, invoicing, etc.). The pricing model is simple: you pay certain monthly subscription fee for each charging station port managed by the system. Beware for set up fees! Always ask what’s included and if there are any additional taxes per transaction. The above outlines our experience in this project, for a fairly specific domain. However, I am sure you can take out some useful tips and approaches for your own projects too. 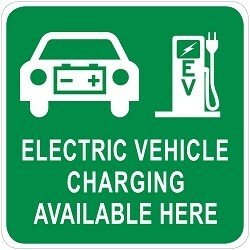 I’d be happy to get any feedback on this post, and if you have any experience in the electric vehicles domain – you are welcome to give your input. Looking forward to your comments and ideas. P.S. There is a lot more interesting information but since we are under NDA it cannot be fully disclosed.